Nothing says family fun like a theme park vacation. Whether you're hanging out with the characters at the Walt Disney World® Resort in Orlando or watching the craftsmen at work at Silver Dollar City in Branson, you'll enjoy the thrill of a theme park vacation. 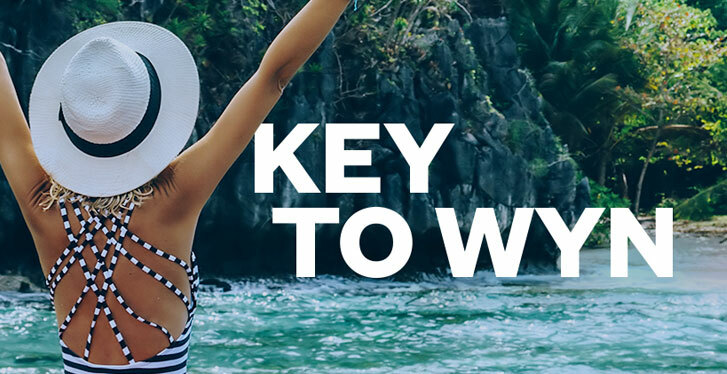 So grab the family and book a vacation package with CLUB WYNDHAM® today. If you're a fan of theme parks, you'll love the choice of destinations with CLUB WYNDHAM®. From old time country style theme parks to modern day marvels, you're sure to find something to pique your interest. Get away to Orlando and discover one of the world's most magical vacation destinations. At SeaWorld Orlando you can catch Shamu and friends in action - just stay clear of the Soak Zone, unless you're looking to get drenched. Find out what it's like to ride the movies at Universal Studios® Florida. Take on the Terminator 2®: 3D or fill your belly with laughter on the Simpsons RideTM. Around the corner at Universal's Islands of Adventure® you can scream your way down Dr. Doom's Free Fall or take a whimsical trip through Seuss LandingTM. At the Walt Disney World® Resort there's even more fun waiting. Rock out at high speed on the Rock n' Roller Coaster® Starring Aerosmith. Sing "yo ho" along with the pirates on the Pirates of the Caribbean or hang out with Mickey, Donald, Goofy and the gang. It's all waiting in Orlando. In Branson you can discover all the old fashioned fun of Silver Dollar City, an 1880s craft village filled with great crafts, thrill rides and family attractions. Watch as the silversmith shapes a custom piece of jewelry. Or lick your lips as you feast your eyes on the master candy maker hard at work. When you're looking for thrills, take a high-flying looping ride on the Wildfire® roller coaster. And get ready for a laugh a minute as you make your way through the slanting floors of Grandfather's Mansion. Spend some time at Dollywood in the Smoky Mountains and you'll be in for a treat. Prepare to get sprayed as you soar down Daredevil Falls or travel through an abandoned coal mine at high speed on Mystery Mine®. Enjoy country, bluegrass, southern gospel or classic rock at one of the live stage shows. In San Antonio you can choose from two terrific theme parks. At SeaWorld® you can hang out with the sea lions and at Six Flags Fiesta Texas you can turn upside down again and again on Der Twister. There are also plenty of ways to get wet at White Water Bay, Six Flags Fiesta Texas' water park.